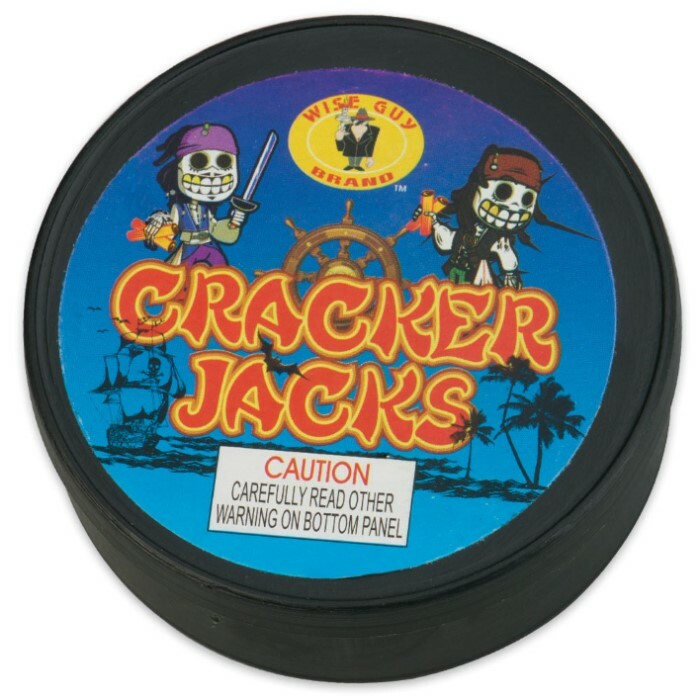 Cracker Jacks Super Poppers | BUDK.com - Knives & Swords At The Lowest Prices! 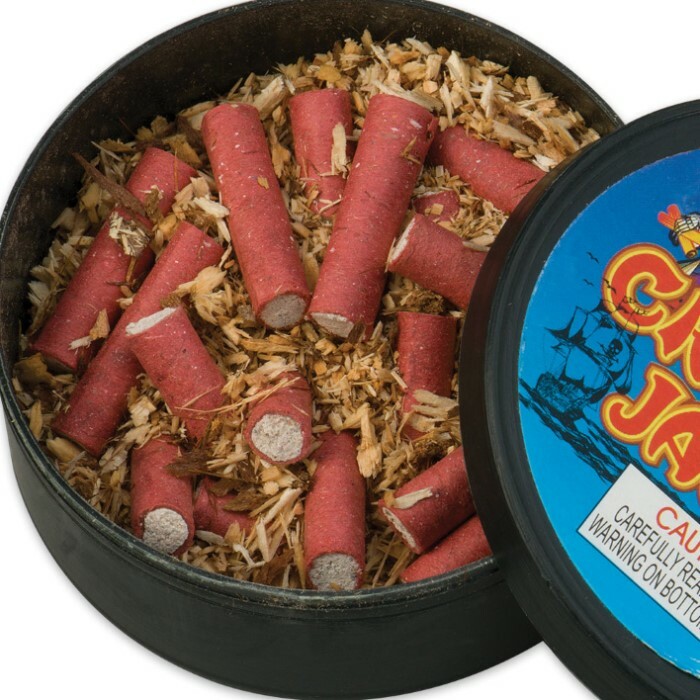 The Cracker Jacks Super Poppers are great little gems that will really go off with a BANG! These extra loud poppers are great for parties and events because they will definitely get everyone's attention. There are 20 pieces in the can. Not recommended for children under 8-years-old and they are strictly for outdoor use only. Why am I just finding out about these things now. Far louder than the little white tissue paper snaps. Not quite as loud as a firecracker but impressive. 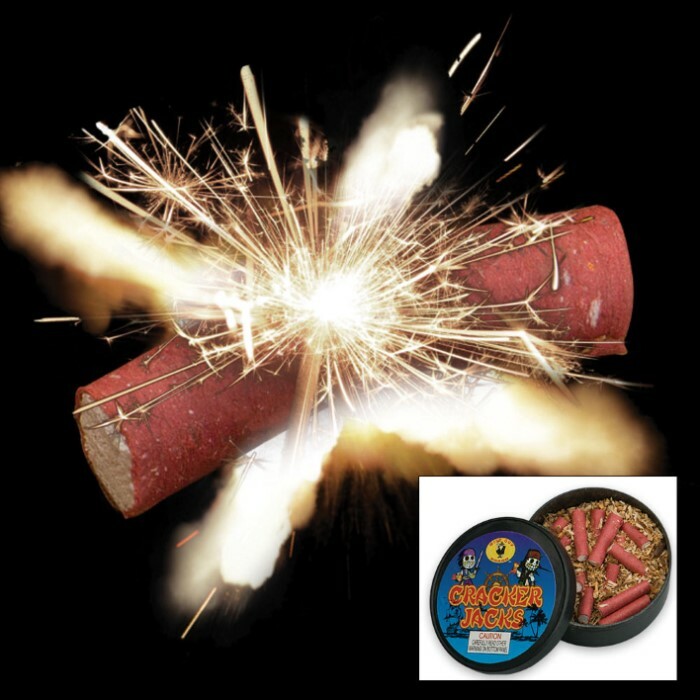 These "super poppers" are insanely fun and for the price you are getting a good deal. Defiantly a good Buy. My friends and I have been playing with these things and they are GREAT! They're almost as loud as a fire cracker and you don't have to light them.